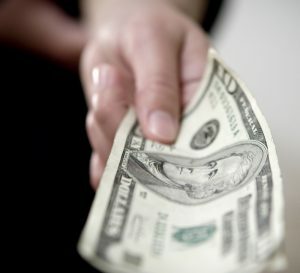 According to a U.S. Bank survey of over 2,000 Americans, 50 percent of those asked said that they carry cash with them less than half the time they go out. 46 percent said they use cash less than eight days every month, and 5 percent said that they never use cash at all. What does all that mean for your business? Simply put — if you don’t accept credit cards as a payment method, you’re leaving money on the table potentially upsetting your customers. If you’re a startup looking to boost your business or an existing business planning on simplifying your operations and increasing convenience for your customers, make the switch to Merchant Payment Services. 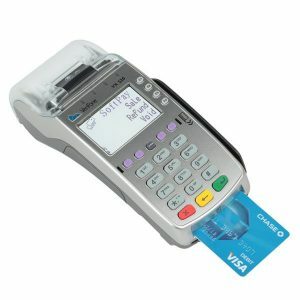 From wireless terminals to point of banking systems, regular ATM machines or credit card equipment, we can effortlessly handle all of your credit card and merchant processing needs. With more than 27 years of experience in the merchant processing industry, our team of friendly professionals makes it easy for you to accept all major credit cards, including Visa, Mastercard, American Express, Discover, debit cards, checks, and EBT. In 21st century America, your customers expect you to accept credit cards. We’ve designed the process to be simple, and with our wireless credit card processing services, you can easily set up a merchant account in minutes. You’ll be up and running with the ability to do business with all of your customers in just a matter of days. Ready to learn how we can help? Contact us online or by phone today. At Merchant Payment Services, we know that if you’re a plumbing contractor, limo driver, landscaper, locksmith, HVAC contractor, or you work at a flea market or trade show, you need a way to take credit card payments that’s secure and simple without being tied to a cumbersome terminal. Our mobile credit card processing terminals make it a snap to take payments from all major credit cards, including Mastercard, Visa, Discover, American Express, checks, debit cards, and EBT. To stay competitive with your business, there are a few absolute necessities. You need to be informative and honest with your clients. You need to effectively market your goods or services. But perhaps most importantly, you need an online presence and a safe and convenient way to handle merchant processing and payments from customers through the internet. Without that, it’s an absolute certainty that you’ll be left in the dust by your competition and your consumers. A good first impression is everything. That’s particularly true when it comes to your business. These days, it simply isn’t enough to offer a great product or service at a fair price. Today, customers expect an online presence and customer service that’s attentive and responsive. To really make a great impression, gift cards are the way to go. A gift card ranks 4th in consumers’ list of favorite gifts. Beyond being a desirable gift, consider that gift cards serve to enhance brand awareness of your company while also being an excellent source of additional revenue for your business, whether in-store on online. When customized with your company logo, they act as a constant reminder of your brand, and they function as a wallet-sized billboard. 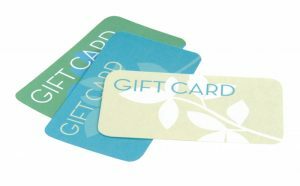 To have the right gift cards for your company, partner with the professionals at Merchant Payment Services. With so much more to offer than just great merchant processing and small business POS solutions, we can provide your company with cards that are fully customized with your business name and logo. Our flexible, custom programs act as a powerful promotional tool that will also enhance cash flow. To keep your customers satisfied and coming back, flexibility is the name of the game. That’s very true when it comes to how you accept payment from your customers. While the majority of your clients will pay by credit card, occasionally some will pay by check. In a case like that, you can either regretfully refuse the check — and lose the sale — or you can make sure your small business has the merchant processing solutions in place to allow you to take the check. At Merchant Payment Services, we can make your operations more efficient with electronic check processing, also known as ACH (automated clearing house). This lets you electronically credit and debit bank accounts both customers and business partners alike. You’ll have the freedom to take checks in person, online, or over the phone, as well as provide your employees with the option for direct deposit payroll. 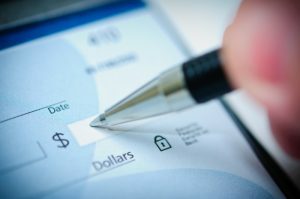 ACH transactions are resolved in a similar manner as traditional checks — the clearinghouse records all transactions each day and categorizes them by the location the check was cashed, totals the amount, and credits or debits all accounts involved appropriately. It’s easy, convenient, and reliable. At Merchant Payment Services, we do so much more than provide merchant processing and POS solutions — our cash on demand program gives you funds based on what you think your future sales may be. You’ll exchange a portion of your future credit card transactions for capital that can be used for any business purpose right away. We make repaying your loan easy. Payments are collected as a small, previously agreed-to percentage from your monthly credit card sales. That means the repayment is directly associated with the financial success of your business, instead of being a fixed payment that could be tougher to make during a leaner month. The better your business does, the sooner the loan gets paid dow. For more than 27 years, we’ve been committed to helping businesses reach and exceed their potential however we can. With cutting-edge software and detailed customer service, we’re ready to begin when you are. To schedule a free consultation, contact us online or by phone today. 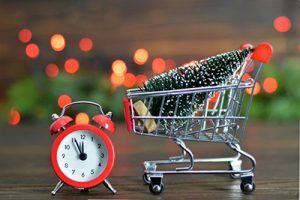 We all know the holidays can be a chaotic time of year for small businesses and consumers alike. Visiting relatives that never seem to leave, cooking for an army of guests, and stressing out over buying just the perfect gift isn’t easy on anyone. If you’re running a business, you can easily double — or even triple — your stress levels. You need customized seasonal policies for your business that work the way you need them to. At Merchant Payment Services, our seasonal processing solutions are a popular option with many of our merchant processing clients. Many small businesses take advantage of seasonal credit card processing accounts. Available as a standard retail account with a single point of sale device, these programs offer the same great rates as a year-round processing contract, but without the ongoing fees accumulated during your inactive or slow months. Once your business closes for the season, the account will be rendered inactive. If you run a snow plow service, a Christmas tree lot, fall fairs, pumpkin patches or any other of the wide range of businesses that pop up during seasonal months, contact us about this incredible opportunity. No contracts, no fees during off months, no paperwork, free equipment, and 24/7 customer support means we take the steps necessary to help your seasonal business thrive. To schedule a free consultation, contact us online or by phone today.